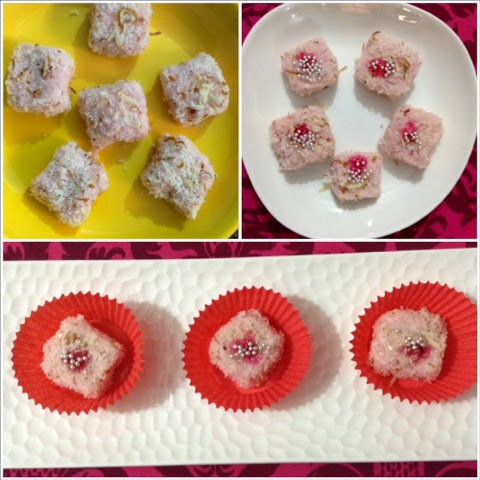 Coconut Rose Candy is a very simple and easy dessert. 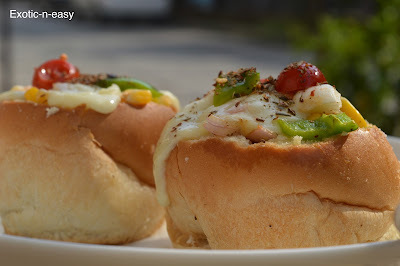 Every time our kids want same thing different and equivalent to what they see in market. 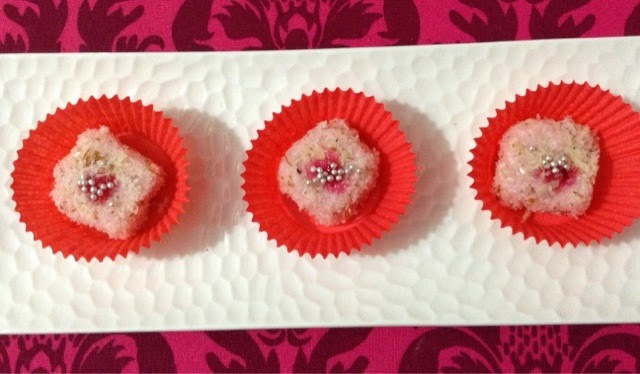 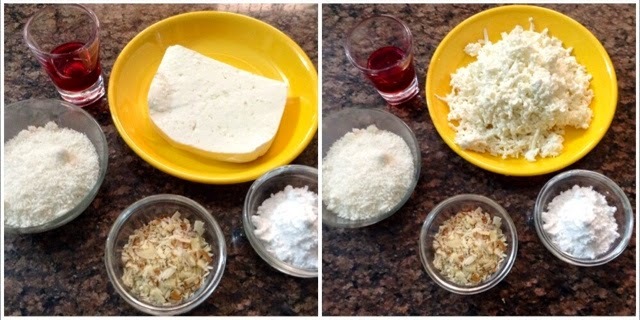 So by just adding small twist of refrigerating sweet I prepare a candy made up of cottage cheese, coconut and almond with a rose flavor. 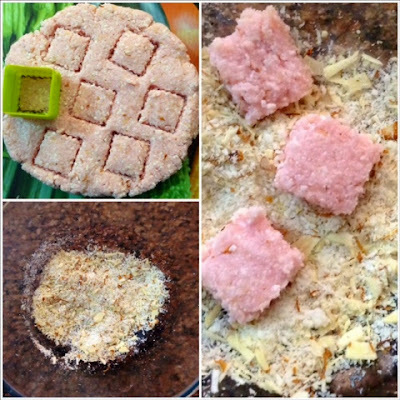 As we refrigerate the coconut and cheese our sweet will get chewy effect which kids really enjoy.